MEPs discussed EU deals with four tobacco firms behind closed doors in Brussels on Wednesday (27 January), while saying they have nothing to hide. 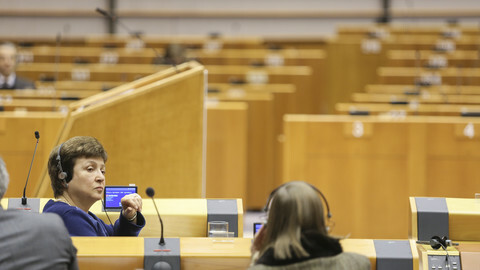 German MEP Ingeborg Graessle, who organised the meeting, defended its secrecy, but not everyone thought it was needed. The MEPs and the tobacco executives spoke at the representation office of the German state of Baden-Wuerttemberg. Following the official end-time of the meeting, at 5.30PM, people could be seen exiting the office at the EU neighbourhood's traffic-intensive Rue Belliard, and entering the rainy, already dark evening. “Honestly, I don't know,” said one man who attended the event, when this website asked him why it couldn’t be held in public. He described the roundtable discussion - about the value of the four so-called Tobacco Agreements - as being “normal”, but would not elaborate. A woman, carrying a binder with the words “tobacco agreements” written on them, said it was just “an exchange of views”. 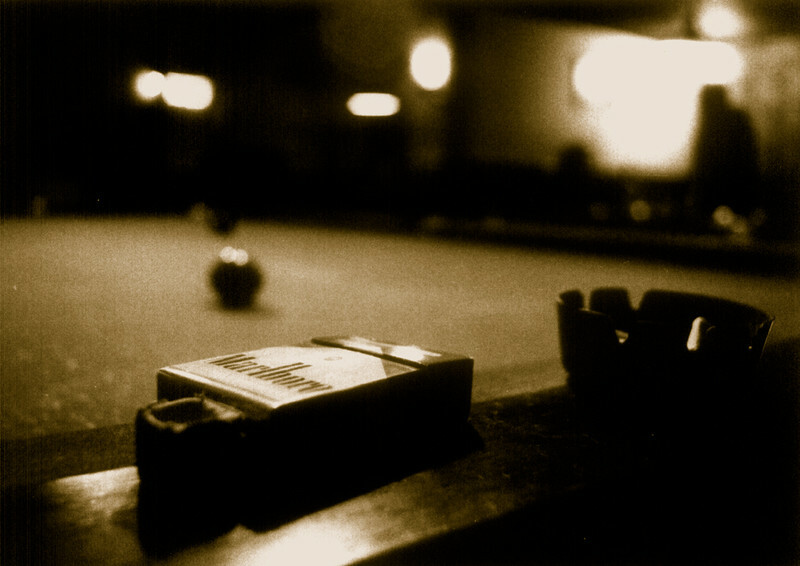 Since 2004, the EU and its members have signed deals with the four largest cigarette firms: Philip Morris International (PMI), Japan Tobacco International (JTI), British American Tobacco (BAT), and Imperial Tobacco Limited (ITL). The accords involve the companies transferring money to the EU and national budgets, in exchange for cooperation in the fight against cigarette smuggling and counterfeiting. The first deal, with Philip Morris International (PMI), is set to expire in July 2016. The European Commission is currently drafting an assessment of the PMI deal, although it has said “the main findings will broadly apply also to the other three anti-fraud cooperation agreements, with BAT, JTI and ITL respectively”. On Monday (25 January), EU budget commissioner Kristalina Georgieva, apologised to members of the parliament's budgetary control committee for the delay in the assessment's publication, which will be the basis for deciding whether or not to go for a renewal. Wednesday's meeting was titled “Assessment of the EU Tobacco Agreements in the context of the global and EU instruments to fight illicit trade in tobacco”. Graessle, a German centre-right deputy who chairs the budgetary control committee, organised the event. “I wanted an assessment of what stakeholders think of the agreements,” she told this website after coming out onto Rue Belliard. From under her umbrella, Graessle said she “mainly asked questions”. 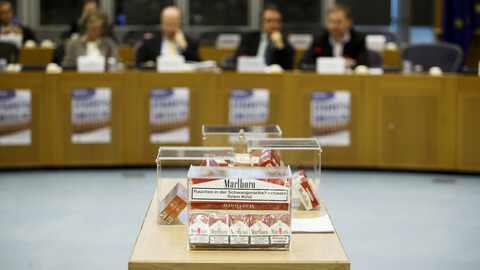 The meeting was attended by MEPs, the tobacco firms, NGOs, the EU's anti-fraud agency Olaf, and representatives of the World Health Organisation's Framework Convention on Tobacco Control. Graessle said it wasn’t easy to organise the event. She said that by having the meeting behind closed doors, the discussion was more open. “Some people did not want to be quoted”, she said. Another reason for the secrecy was that MEPs “got insight into confidential documents,” she added. “I quoted them [the documents], and didn't want to be quoting them in public,” the German MEP noted. She said that all participants “found it useful” to have the meeting, and that she “learned a lot”. “Now I understand why the assessment is not yet published,” she said about the commission's report. 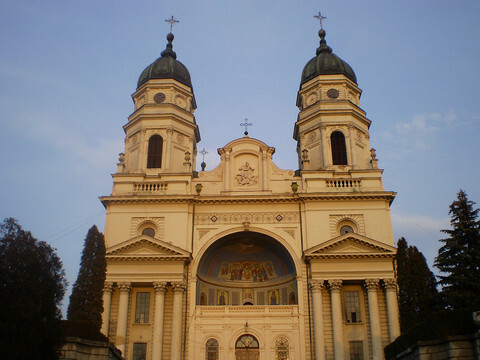 The meeting was held at Baden-Wuerttemberg office instead of in the European Parliament for prosaic reasons, she added. 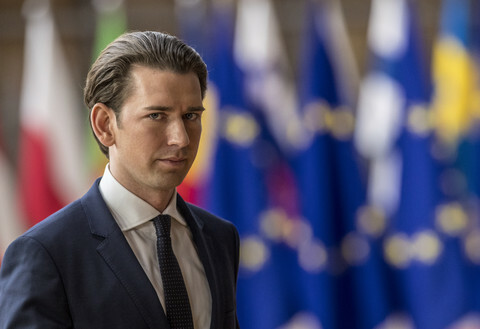 “It can be complicated to get a room in the parliament,” noted Graessle, who used to be active as a politician for the German Christian Democratic Union in Baden-Wuerttemberg. She had also hoped the location would create a “nice environment” to facilitate the debate. “Normally there is tension between the tobacco NGOs and industry,” she said. Her attempt was only partly successful, she noted, adding that there was, at times, “fierce debate” between the two sides. She said “it's not that we have something to hide”, but that did not hold true for all participants. A group of four men exiting the building mentioned the name of Bart Staes, a Belgian left-wing MEP who has been critical of the accords. When this website approached them, they went almost silent. “Not really”, one of them said when EUobserver asked if they wanted to say anything about the meeting. “We will respect madam Graessle's wish that it was a non-public meeting,” another said. They did not want to identify whom they represent. The EU is preparing to tax e-cigarettes under the same regime as normal ones, in a move likely to boost prices and to prompt a new lobbying war in Brussels.